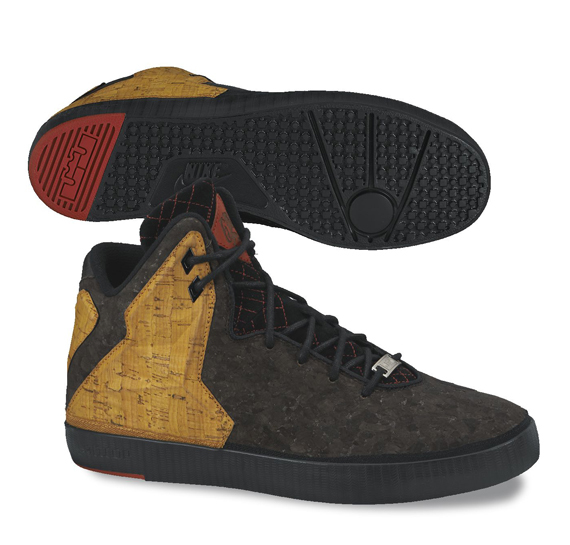 Cork makes a return to the LeBron line over this all new LeBron XI Lifestyle by Nike Sportswear. Letting the cork overlays do all the talking, this NSW LeBron XI Lifestyle features a full brown upper. The simple look is hit with subtle orange accents, while a black vulcanized sole finishes them off below. Stay tuned to Sole Collector for official details on the 'Cork' NSW LeBron XI Lifestyle.